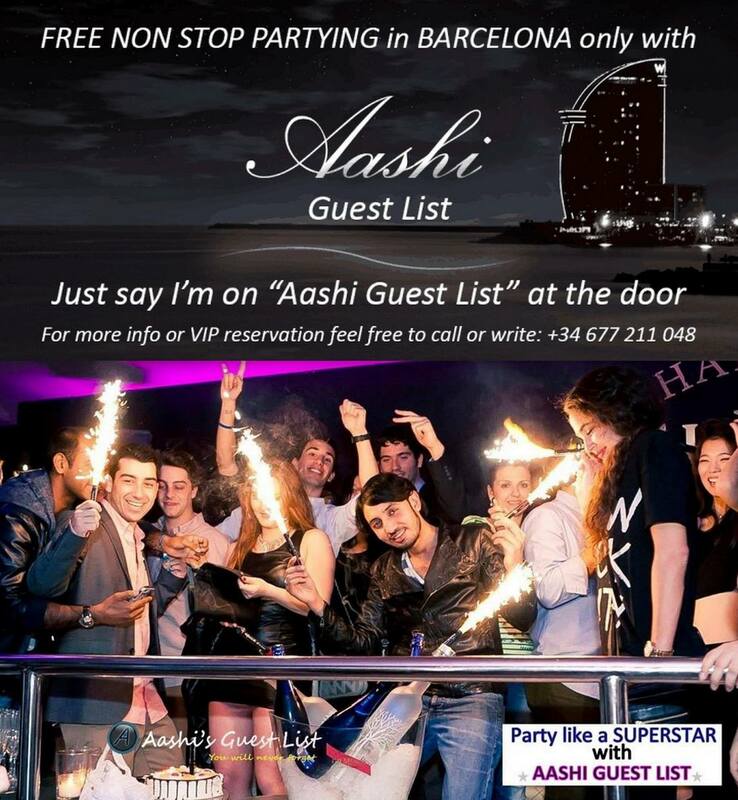 Every week enjoy free entrance to more than 50 parties at Top Barcelona Night Clubs only with Aashi Guest List. 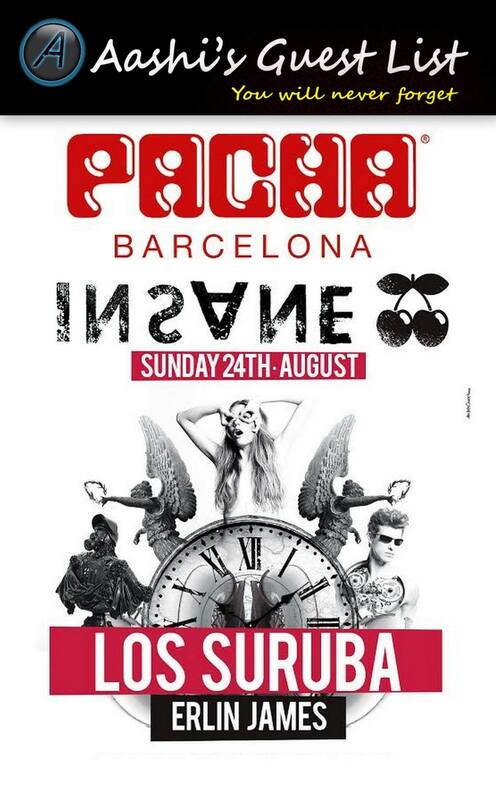 In Barcelona, the vernacular for a night club is the spanish word “discoteca.” All visions of 70’s disco balls aside, Barcelona offers visitors and locals alike discotecas that are sure to tickle a wide variety of fancies. 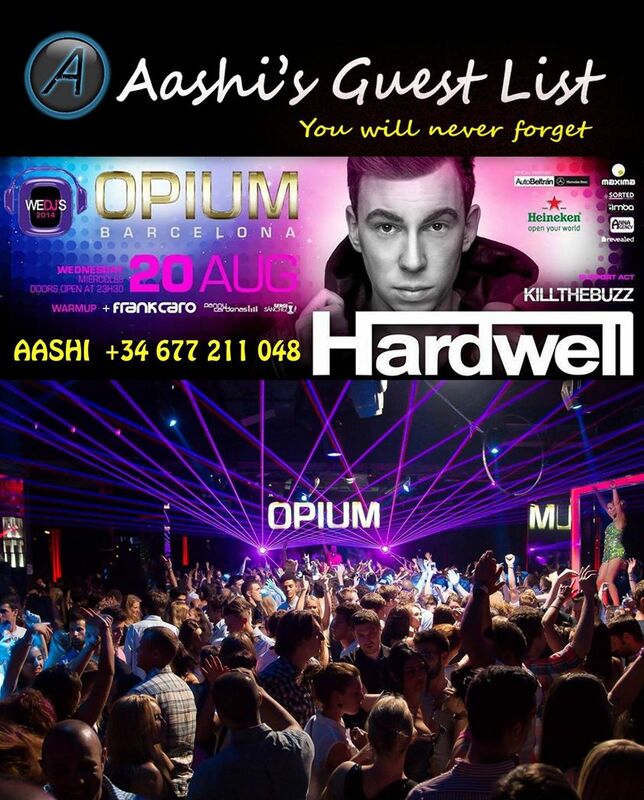 Actually entering aforementioned establishments using Aashi Guest List of course depends on day of the week, time of entrance, and personal attire. 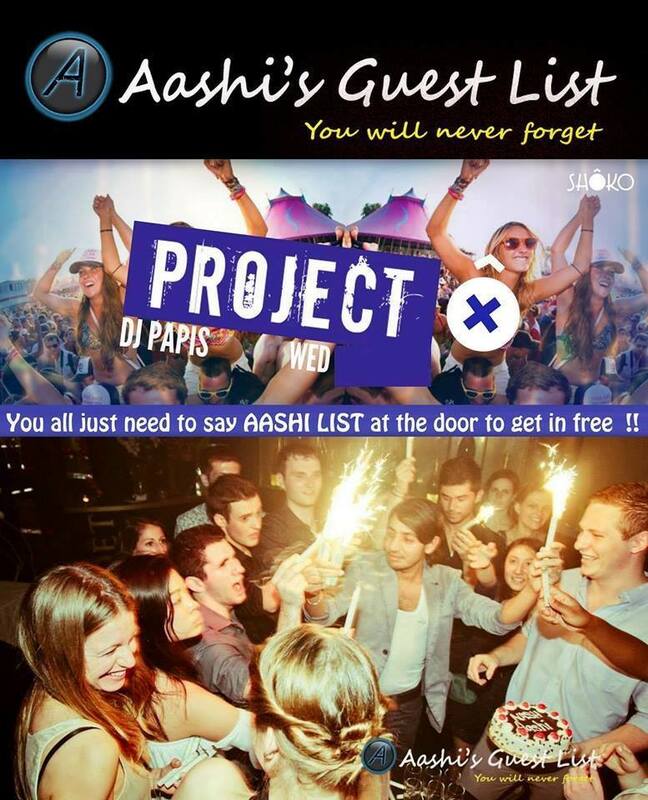 Also worth mentioning here that Aashi Guest List offers VIP table service, Birthday celebrations (think champagne, sparklers, cake, etc. ), frequent complimentary beverages, pre-game offers at popular bars, and much more!